Medical care has achieved much advancement in the past 30 years. Nowadays, you can relieve the pain considerably. However, patient fears of going to the dentist have not changed. There is no difference among adults and children. such patients who are afraid of treatment. In the case of implantation, we always use sedation. Please do not hesitate to request for sedation methods. Have you ever drink liquor, and feeling good? I think you have. Dental clinic can not serve a liquor but Thanks for sedation, We can make a state of this "slightly drunk"
Our dental clinic are using a sedation by two ways of methods. It is quite comfortable sedation method. 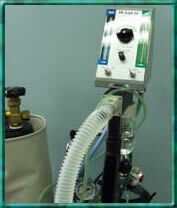 Inhalation sedation machine Removing tartar by using inhalation sedation machine. 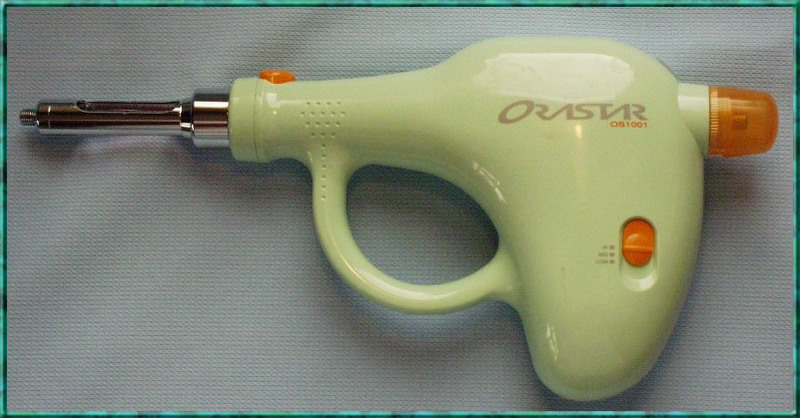 You will be inhale the mixture of nitrous oxide and oxide from your nose using tube. After Sedation/treatment, It will returns to the beginning state immediately. But There are a rare case of sedation effect is weak. When such a case, patients will receive the intravenous sedation. instill a sedative medicine into a blood vessel(vein). or inject with an anesthetics. After operation please refrain from driving of a car. Recently intravenous sedation have done considerably. It is pleased by patient with strong gag reflex. It seems to be light poor memory action, and there is a patient don't remember too much about the treatment wile sedation. Patient is not pain enough to surprise for me. In our clinic, It is called surface anesthesia. anesthetize by putting it on a sort of the gums. The general idea that "anesthesia is painful" is becoming ☆thing of the past ☆ now. sometimes, clinic stuff want to use this. It is possible for anesthesia almost painless. after putting the surface anesthesia (numbing medicine) on the gum.